Our Pets As Therapy Correspondence Course trains people and pets to visit hospitals and nursing homes to cheer up the lives of challenged adults and children. Course graduates can work in the field as volunteers or paid visitors. A great way to make money working with animals and people who need the love that an animal can offer. We now offer a Pets As Therapy Correspondence Training Course which includes every thing a person should know BEFORE taking a pet on a pets as therapy visit. The priority is on health and safety issues for you, your pet and the frail and challenged people you visit. It includes a training program showing you how to safely approach and interact with adults or children with your pet; an easy to follow, training program for you to train your dog in your own home to the required obedience level and how to commence volunteer work in your local area. Our course students come from all around Australia and overseas. The course fee is from $225.50. For full details, please e-mail velma@velmaspetsastherapy.com.au or phone (02) 9418 4343. Enjoy deeply rewarding and highly beneficial paid work as a 'pets as therapy' visitor!! We can offer paid work to our Pets As Therapy Course graduates. Want to work in a field where miracles are realized almost daily? **PUPPY TRAINING from 8 weeks of age. **5 MONTH DISTANCE EDUCATION COURSE on understanding bog behaviour better. This Course is approved by the UNIVERSITY OF QUEENSLAND who will issue a Certificate of Competence at the completion of the Course. **PRE NATAL one evening session for pregnant women or new mums. Gives you all the information you need to ensure your dog totally accepts the new baby into the family. Put safety first. **WORK BITE FREE Course for businesses whose staff have to enter properties where there are dogs. **BOOK 'WHO'S THE BOSS?' very educational on understanding the dog. Now selling in four countries. Self published, sold between 30,000 and 35,000 copies. **DOG PROBLEMS solved in your own home. For more information on any dog training or understanding or to get a copy of the book or DVD's see contact information below. - Workshops, Seminars and Assessments to Gain Industry and Nationally Recognised Certificates conducted around the Country. - Using DGI Grooming Training Manuals mapped against the Nationally Recognised Standards we help the beginner to advanced groomers achieve their Dreams. - Director Deb Ryan LCGI, CMG and Cardinal Crystal winner for "International Groomer of the Year" has a Passion for the industry and a unique ability to teach her skills and knowledge. Deb believes "Education is the Key to Your Success"
Deborah started competing in Grooming comps in 2007 since then Deborah has won Best in Show PIAA groomer of the year in Australia in 2008, 2009 and 2010 at the Annual PIAA Grooming Comp plus BIS in Pasadena USA. 2009 Cardinal Crystal Awards in New York Deborah received the Cardinal Crystal Award for "International Groomer of the Year"
DGI Education Program author Deborah Ryan was awarded the 'Kevin Pakes Perpetual Achievement Award' which was presented to her for 'recognition of service to and achievement in the Pet Industry in Australia over the past 12 months in 2008 and in 2009 received Dogs Life and PIAA '2009 pet people award for Outstanding Innovation'. Deborah has a City and Guilds Licentiateship Diploma in dog grooming from the London Institute (one of the highest English qualifications for dog grooming. Deborah has been teaching grooming for more than 14years and has a Certificate IV in Assessment and Workplace Training. Animal Communication services and workshops. Services available online or via telephone for interstate clients. Workshops also available in Brisbane QLD. Next workshop in Brisbane July 22 and 23, 2006. Enquiries welcome for our dog grooming courses. Located: Shop 142 Princes Hwy, Ulladulla NSW 2539. 3hrs drive from Sydney or 2hrs drive from Canberra. Workshop Prices & Availability: Phone 1300 884 766 for workshop prices and dates available. Options available. Speak to our grooming instructors, about designing your own personal training package! "From the commencement of the dog grooming course, I was made to feel welcome. The grooming training facilities are state of the art, as are the grooming instructors. In closing, for anyone wishing to pursue a career in pet grooming, Groomers Friend is THE ONLY CHOICE! Sophia Mostyn, Toy Delights, Poodle Breeders & Pet Grooming Stylist. Ph.0405 472 045." Level 1: Pet grooming workshop suited for people wanting to learn practical pet clipping techniques. Course covers hands-on training including bathing, blowdrying and clipping of breeds such as maltese and shih tzu's. Students will learn about business set up, pricing, and marketing, as well as equipment maintenance & safety in the workplace. The Australian School Of Petcare Studies has been offering correspondence study programs in all fields of Animal Welfare & Development since early 1996. Our correspondence programs are uniquely designed to give our students the flexibility and convenience to complete the program in their own time, at their own pace and in the privacy of their own home. We are very proud that our private adult learning institute is not only Australian owned and managed, our institute is also one of Australia’s leading Animal Welfare & Development teaching institutes, offering study programs at some of the most affordable tuition fees in Australia, while providing excellence in quality, service and up to date researched study materials. This provides an equal opportunity for everyone to have the enjoyment of completing a course in a field of their interest. Our students are from all around the globe, and enjoy exciting and unique study programs with beautifully bound study manuals, workbooks and many programs have videos, audios and texts that we supply at no extra cost. Please take a few moments to browse through the information available on our website. A full overview the courses available, background information and "common questions" asked are all just a few clicks away. I am sure that you will find the course that is of great interest to you. If you have any questions please contact us and one of our friendly and experienced course co-ordinators will be more than happy to assist you choose the right course. Turn your passion for animals into paid work! Let your love of animals lead you to a new and rewarding career. Open College's Animal Care courses give you a great grounding in the basics, and provide the perfect stepping stone to your dream job working with all creatures great and small. Training you in all the skills needed for the day-to-day care of animals, this course covers health, first aid, domestic animal behaviour, anatomy, characteristics, obedience, breeding, grooming and more. You'll also get an introduction to animal welfare and shelters, and animal shows and competitions. Whether you want to keep your own pets trimmed and terrific or you're looking to turn professional, this practical course covers all the essentials. You'll learn to handle different personalities, allay fears, soothe aggression and make the grooming experience safe and comfortable for yourself, the animal and its owner. Everyone wants a well-trained pet, and with this course under your belt, you'll be the go-to expert! You'll learn all about canine behaviour, plus tricks of the trade to motivate and discipline your dog. Canine nutritional needs, grooming, exercise and other health requirements are also covered. For more information on the course of your choice, contact us now! Or contact our course advisors on 1300 853 033. *Cost for the course is $175.00 and includes our DIY Dog Grooming DVD. **Please note this course can be extended for a more comprehensive training program, please call to discuss your requirements. Understand a wide range of dog's needs. An understanding of canine psychology and behaviour is vitally important for anyone who works with dogs or keeps them as a companion animal. We Turn Your Dream of Working with Pets into Reality. You have the desire and drive to turn a simple love of animals into a new career. At Pet Stylist Academy, we have been turning that dream into reality for over 5 years. Join a training team committed to unparalleled quality in the field of professional pet grooming and styling - Pet Stylist Academy. Did you know that we all have the ability to talk to animals? Want to know what your pet is thinking or trying to tell you? Want to learn how to talk to your own animals in their language? Trisha is an internationally acclaimed Animal Communicator and Teacher and will show you how!!! Looking for a place to start in the Dog Industry? Help man’s best friend with the aid of Canine Myofunctional Therapy (professional dog massage). This course has been designed for all those with a love of dogs and an interest in improving their health and wellbeing with the gentle but powerful therapy of massage. Our CEO, Sandi Rogers, developed the therapy and teachings of Canine Myofunctional Therapy for the Australian market. Classes will enable you to understand fundamental principles and the terminology of canine anatomy, physiology and applied techniques. The Dog Shed - Australia's Professional Dog Grooming School offers one on one student training in becoming a Professional Dog Groomer. All breeds taught to each student. I have started, built up and sold three dog grooming salons. I now operate the fourth salon. Only 1 - 4 students are taken on for each course. This ensures a “one-on-one” training for each student. The benefit of taking on a small number of students for each class ensures that each student reaches a high level of clipping and grooming techniques and enables us to cover all breeds of dog. Course runs for 3 weeks - hands on intensive training and full support provided on return home. We provide double room accommodation and airport/ train station transfers at no charge. It’s an easy going live-in environment with plenty of animals. If you wanted your partner can stay with you for a small weekly charge. We just ask students to pitch in for their food. Very friendly and animals abound atmosphere. Partner may stay for small additional cost. Horse riding lessons available on a well trained horse for those interested. Learn how to promote health and wellness for your companion animal using Natural Therapies! Range of one day workshops to empower pet owners in the care and wellbeing of their companion animals. See website www.animalequil.com for more details and registration information. 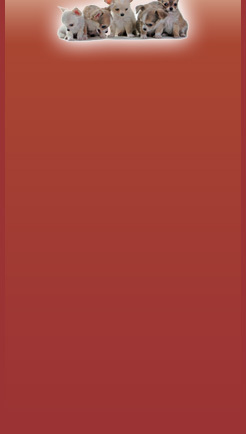 Cert 1V in Small Animal SmartBowen Therapy - see www.smartbowen.com for further details. One day natural therapy workshops for pet owners as well as professional training in small animal and equine Bowen Therapy. A Professional Dog Grooming School. Registered as a Private Career College under the Private Career Colleges Act, 2005. We offer a 240 Hour All-Breed Dog Grooming Course. Today naturopathic consultations have become more popular than a visit to the GP for a great majority of people around the world. Likewise animal naturopathy is also on the rise with pet owners that prefer natural holistic treatments to veterinary pharmaceutical medications. A large number of veterinarians are now realising the benefits of a combination of natural and pharmaceutical treatments, with many offering natural alternatives in conjunction with orthodox medications. Animal owners ought to consider herbal medicine as part of the daily diet as well as assisting to heal many conditions your pets may suffer. The National College of Traditional Medicine offers several animal related courses ranging from the Certificate in Herbal Medicine for Companion Pets, Certificate in Small Animal Nutrition to the Diploma of Small Animal Naturopathy. Educating yourself in animal natural therapies will provide you with a wealth of knowledge, which will help you to extend the life of your pets and promote general wellbeing. Aussie Animal Lovers who have dreamed of working with animals now have the help they require to start and run their own Pet Sitting Business. This type of business suits those who wish to work part-time or full-time. Please visit the website for more details. All furrykids@home Carers are furry kid enthusiasts - Dogs & Cats, Birds & Fish and we will love and care for them all when you can’t or not @ home. Cuddles, tickles & kind words are their speciality! Each Carer has been specially chosen, has an individual police check and has public liability insurance. Each Carer is over 18 years of age and has a current Queensland drivers licence. So give me a call or send me an e-mail to find out how you can become a TopDog Minder. Here at The Pet Directory we are looking for motivated sales people who can work responsibly and who can sell for us. You will need to have a gift for the use of a telephone . Looking for a genuine hard worker . Great rewards for the right applicant. We need a replacement for a very good sales person - YOU COULD BE IT!!! Please respond to Adam Cooney : 0415 949934 . 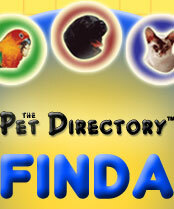 The Pet Directory is Hiring New Staff!!! Visit our website for information about becoming a Petwise franchisee. AS YOU LEFT IT IS AN IN-HOME HOUSE AND PET SITTING SERVICE CATERING TO HOME OWNERS WHO WANT THEIR HOUSE AND PETS CARED FOR WHILE THEY'RE AWAY ON HOLIDAY OR BUSINESS. WE OPERATE RIGHT ACROSS AUSTRALIA. WE URGENTLY NEED MORE SITTERS FOR ALL PARTS OF AUSTRALIA AND FOR SHORT, MEDIUM AND LONG TERM SITS. NOT ONLY WILL YOU RECEIVE FREE ACCOMMODATION IN MANY DIFFERENT PLACES, YOU WILL ALSO BE PAID FOR THE PRIVILEGE AND YOU WILL HAVE THE OPPORTUNITY OF LOOKING AFTER SOME GORGEOUS AND INTERESTING ANIMALS. * For Insurance purposes all sitters must be 25 years old or more. Enquiries welcome for our groomers equipment and trailers. Dog Transport Trailers The Highest Quality Possible in Dog Transportation Enquiries Welcome. Manufacturers and distributors of Conmura and Fido's Hydrobaths. DGS Imports specialises in importing and supplying quality Dog products, Dog Grooming Products and Show Supplies. We sell only to wholesalers and you can find your nearest stockist on our ‘Where to buy’ page. DGS is an importing and supply company we deal with dog products, dog grooming products and dog show supplies. We import ranges from USA, Europe, England and China which are not available from mainstream pet supply importers. We are a wholesale only business and have distributors throughout Australia. 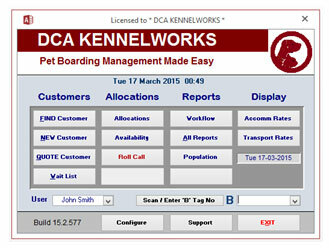 DCA Kennelworks is a comprehensive, powerful, easy to use boarding kennel and cattery management system designed in close consultation with boarding kennel and cattery owners and operators around Australia. Slow, limited or expensive internet connection? No problem ! Natures Own Pet Food is a formulation of high quality ingredients with NO Added Preservatives, Colourings or Flavours. It is highly palatable and readily accepted by fussy eaters. It contains ingredients that are known to be low allergy and is therefore an excellent food for dogs with skin problems. More importantly it consists of a Natural Digestive Aid that helps dogs with digestive problems and also helps prevent scouring . Natures Own pet Food is cooked inside their casings, which helps seal in the goodness and nutrition. This method of cooking along with keeping it refrigerated gives our rolls a shelf life of approximately 6 months when left unopened. Once opened it will keep for approximately 2-3 weeks. Simply slice and serve. Top Dog Pet Food & Products are looking for people to distribute Natures Own Pet Food throughout QLD & N.S.W. If you would like more information about distributing or if you have any enquires please do not hesitate to contact Tristan or Caroline Fitzpatrick on the phone numbers listed below. *There are currently 447 people online.